We made it to the last day of our Writing Conference without the Conference. The goal from the beginning was to share ideas to think about writing outside the box, to deliver something to fellow writers that would help leap over obstacles with a single bound. Speaking personally, as soon as I published Day One, life hit the fan and my schedule of posting was lost. But in there were valuable lessons – 1) don’t give up and, 2) have a plan. My goal was to post twice a week. Didn’t happen. My second goal was to have a detailed outline for this entire series of posts from which to write from. That saved me. Today I’m writing about Details; the little things that make or break a story or an article. The devil may be in the details, but that’s only when we allow the details to bog us down. The details can also bring hope to inspire, focus, and bring forth blossoms of literary flora. Detail 1: The beauty of an outline. Sounds funny – beautiful outlines. For most people, “outline” conjures images of sixth grade teachers, Roman numerals and stringent rules for lining up the numbers and letters. Outlines ride pale horses and research papers come with them. Alas, there is life after term papers and for the working-toward-professional-writer the outline is as vital as a GPS as we wander through the deserts of Blank Screens. My outlining process has gone through an amazing evolution as I’ve grown as a writer. I started with the traditional outline format – making my high school English teachers proud. But I now use post-it notes to outline and play around with the order of the scenes. Point is this – make a plan and follow it, changing direction when creativity shows up. The outline is the foundation. Detail 2: Query letters. This is, after all, a Writer’s Conference, a free sample of writing resources, a booster shot to your mind, a kick in the pants, a means to change your schedule and jump start a new project. Once all that has been accomplished and you have a piece of writing – buffed and polished with every curly preposition in place – it’s time to submit your work. The details in the query letter, the synopsis, the first three chapters submitted to an agent are invaluable. Don’t rush writing these. I am intelligent enough to know that I am not an expert in submissions, so I am directing you to other resources, guest speakers of this little conference, if you will. Detail 3: Think like a writer. This, at times, seems so obvious that I hesitated included it in this post. But after the last two months, I really need to keep this focus. Thinking like a writer means that the little details make the biggest impressions. For example, my oldest daughter will be thirteen in less than two months. I see her beauty as a young woman emerging in the tiniest way: the way she ties a scarf around her neck, the quick glances in the mirror, the careful way she cares for her clothes. All that juxtaposed against that fine balance she maintains between playing with younger siblings and contributing to a meaningful conversation with adults. It’s the minute details of characters that peel away the ink and paper of a story to reveal a realistic persona. How she tucks her hair behind her ear, the way he gestures with his hands. Important character strengths or flaws can be masterfully illustrated with these little actions. If you are writing for children, take some time to read the Newberry books. Read it once just for enjoyment, then read it again paying attention to the language, the way the author describes the scenes and actions. I recently read The Singing Tree by Kate Seredy with my oldest daughter. What a gem! If you write for adults or focus on non-fiction, read those best-sellers. Take notes. Imitate the masters. Strive to improve your game and find your own voice and style. Today is Educational. And we are going to talk about…education. Creative, huh? This concept is so simple, it’s easy to forget…Go back to school. I’m not suggesting that you should sit in on a third grade lesson, but look at what kids these days are reading. I guarantee it’s very different from what you read as a kid. I turned 40 this year. As a child, I read Judy Blume, Madeleine L’Engle and ten-pound school anthologies. That’s it. The librarian at my elementary school failed miserably at her job and didn’t even know it. I remember the first time I stepped into that library – the smell of ink and paper was as rich to me then as a strong cup of coffee is now. We were in the LIBRARY! I was certain this was the place, the once-a-week half hour when we would hear a story, a haven of time in my week when I could explore books and escape work. How wrong I was! It was Dewey or Die. 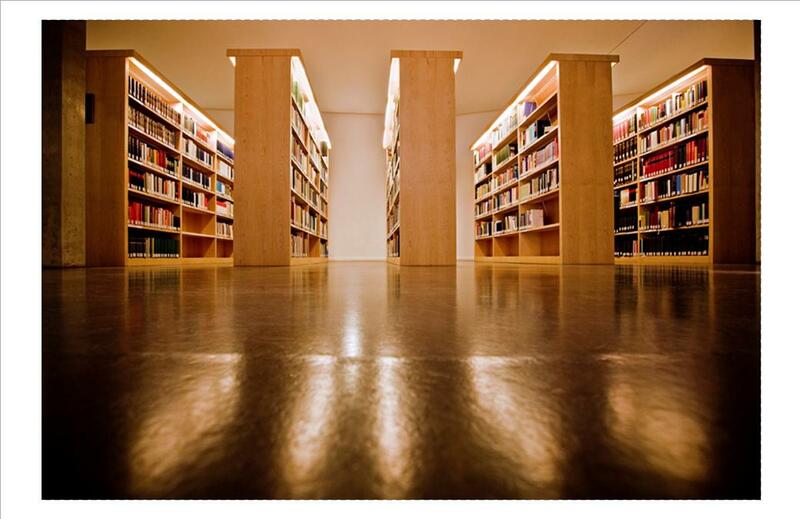 The library was meticulously organized, dusted and decorated. Books were lined neatly with the edge of the shelves – right where the librarian wanted them to be. After my first library visit, I left with one picture book that had to be returned the next week. There was no story read to us. It was all rules and decimal systems. On the counter near the door stood a coffee can of rulers for us to use when we explored the bookshelves. Yeah. Rulers. It wasn’t to measure our reading ability. If we saw a title that sounded interesting, we were to slide the ruler next to the book before taking the book off the shelf. This assured that all the books would still be in place when the class left. Talk about judging a book by its title! She never introduced us to C.S. Lewis, Beverly Cleary or Paul Flieshman. In fact, our school library was divided into grade-appropriate shelves. Older students were not allowed to check out picture books and younger students were not allowed near the chapter books. That meant the older students who struggled with reading were only allowed to check out books that were too difficult for them. Those who excelled in the early grades were stunted in their reading development because they were not given the opportunity to read the more difficult books. As a writer, this opens a market for you. High-interest, low-reading difficulty for struggling students, to name one. These could be non-fiction books with shorter sentences and paragraphs with age -appropriate information. Or, stories written in a simpler sentence structure that offer exciting adventures. So, learn what’s out there already. Study the masters – not necessarily those who make the NY Times Bestseller Lists, but books that break molds, that have stood the test of time, the banned books. Read the genre that fits with your writing. And then make a note of who published it, see if you can find the agent that represented that author and when your story is finished and polished, send it to them. If you are like my students, you are wondering, “How many books should I read?” The answer is: Read a little of what interests you every day. No matter where you are in your writing journey, stop and take a week, or a month to read the new releases. Or, if you are like me and didn’t have teachers who encouraged you to read, go back and read what you missed. http://bitly.com/SsDwSF – link to HAISIN Recommended Reading Lists 2012, a list of books for children. If you write for children, learn what’s out there, see what’s selling, talk to parents about what they are looking for in a story, in a non-fiction book. If you have any other reading suggestions, please share! Include the age level and genre.